Operating temperature range -40°C to 85°C. 10 µF C-ET10-500-FT Diameter 0.7 in. 10 µF C-ET10-500-FT Item Length 1.49 in. 10 µF C-ET10-500-FT Packaging Dimensions 0.75 in. x 0.75 in. x 1.75 in. 10 µF C-ET10-500-FT Weight 0.022 lbs. 22 µF C-ET22-500-FT Diameter 0.7 in. 22 µF C-ET22-500-FT Item Length 1.49 in. 22 µF C-ET22-500-FT Packaging Dimensions 4.9 in. x 0.8 in. x 0.8 in. 22 µF C-ET22-500-FT Weight 0.026 lbs. 30 µF C-ET30-500-FT Diameter 0.98 in. 30 µF C-ET30-500-FT Item Length 1.46 in. 30 µF C-ET30-500-FT Packaging Dimensions 4.8 in. x 1 in. x 1 in. 30 µF C-ET30-500-FT Weight 0.046 lbs. 47 µF C-ET47-500-FT Diameter 0.82 in. 47 µF C-ET47-500-FT Item Length 1.41 in. 47 µF C-ET47-500-FT Packaging Dimensions 4.8 in. x 0.9 in. x 0.9 in. 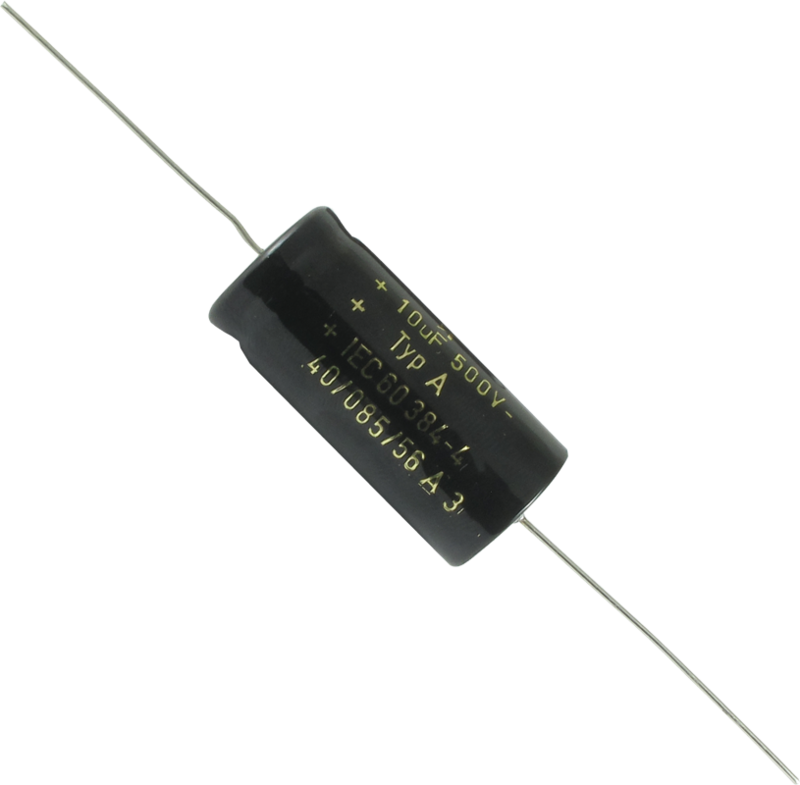 47 µF C-ET47-500-FT Weight 0.037 lbs.